When you spend your time in Sales person mode, time is even more valuable. You may have a set amount of time that the potential client is willing to spend with you. Or you have X number of appointments to make before the day is over. And if your business is predominantly face-to-face, you really have a limited set of hours. So how can you move your prospects more quickly? When the environment around you becomes more active, your focus actually sharpens . . . if you are interested in the other side of the table. In other words, when you want to pay attention to someone, go to a busy restaurant with lots of movement. Because of the increased action around you, your field of vision will narrow which increases rapport with the person sitting across form you. Your brain literally tosses out the extraneous stuff and increases focus on what is directly ahead. It’s like the difference between the way you drive on a sunny day and the way you drive in a snow storm. The snow storm provides the extraneous stimulation to focus your attention on every driving lesson you ever had (never mind the folks who must not have had any driving lessons…). Essentially your IQ pops up a few marks and you have access to parts of your brain that otherwise receive very little activity. In a sales situation, use this to your advantage by placing the person being sold with his back to the restaurant looking at you with the wall behind you so long as that wall is not mirrored. This works best in a busy restaurant. The motion around you will increase his awareness and focus and guess what, you’re the only thing on which to focus. Bonus! If a busy restaurant is not practical, how about going for a walk with your client. Okay, this sounds completely fishy, but same principle applies. By getting your client moving, you cause him to detach from the details of his office: emails to return, phone calls to make, paperwork to shuffle, etc. Getting him (or her) to walk at a comfortable pace allows him enough mental energy to expend on you while releiveing him from those daily stressors which ultimately puts him in a better frame of mind for considering your proposal. This isn’t jogging, this is light, but brisk walking. If your activity level increases too much he will go into exercise mode which puts you out of mind. So keep it brisk, but not heavy duty. This alone will not bring you the sale, but it will help your client forget to resist you. If you are interested in the topic you are studying, then absolutely yes! If you are at a neighborhood coffee shop and will be interrupted by your friends every 15 minutes . . . no. I have studied at B&N crowded coffee shop several times and found myself more productive then at home…but no friends were around. That must be the key. You do have to watch out for super curious people who like to strike a conversation even when your nose is in the textbook! When I’m in a fitting with a client, of course I think it is rude to hang on the phone when it rings. I don’t mind them looking or answering but hanging on to a conservation for more than “I’m busy right now I’ll call you back” wastes my time. There have been times I wanted to move a client forward with out being rude in return. This is very interesting but it seems like a busy restaurant would cause someone to be paying attention to all that is going on around you instead of you. Is this true that it makes them focus on you more? I’m really surprised. I’ll have to test this one out. Thanks for the info. 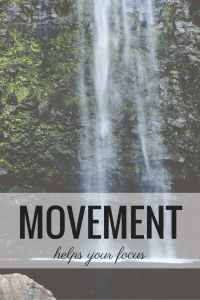 Lisa, the distinction is that the lots of movement, steady stream, constant movement, not occasional movement is too much to focus on so your brain basically drops it. Think about this, if you have 3 courses you are very aware of your waiter each time he comes to the table. If you have 19 small plates arrive and depart, you don’t even notice the waiter bringing more. You stop noticing the waiter all together. You end up focusing on the other person. Speed is your friend in sales as in all things. Any tips to make people decide faster is helpful. I’m on a silly snarky role, so I better just say great post about getting to YES! fast. I like the idea of taking your customer for a walk. Get the distractons away. Is this related to the book Get to Yes/Getting to Yes? Sorry, I can’t remember the exact title, but I read it in one of my mediation classes. This makes a lot of sense. I find that when I first enter a busy coffee shop to do work, I can’t focus at the beginning. Once I start working though I am in my own world and can block anything out. And I too have had fights with my boyfriend over the seat facing the restaurant. I actually judge guys I date on this and see how considerate they really are. Anything that gives us an edge is useful advice. Do you have any tips for those like me who are almost never face to face with our client? 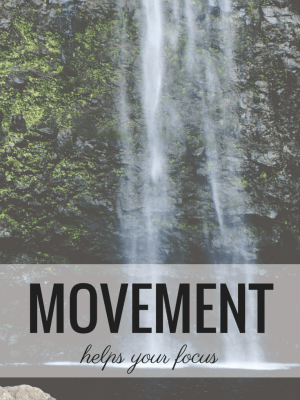 I like the idea of movement. makes a lot of sense and allows your client to filter out whatever else in on their mind and focus on you. My wife and I often “fight” in a restaurant for the seat that looks out into the restaurant. Otherwise, all we get to focus on is our other half! That’s 16 years of marriage for you!